Earlier this week, I posted some of the activities that I used along with the book, Just a Mess by Mercer Mayer. Below, are additional sports related links. Some of our special education teachers are using the Unique Learning System’s free summer curriculum with their ESY students. There is a sports themed unit for preschool and the elementary through high school grade bands have sports/Olympics themed units. There are many activities suitable for speech and language therapy. Download printable books and activities for vocabulary, phonemic awareness, sequencing, spatial concepts, and much more. Find additional sports related books at Everything Preschool. 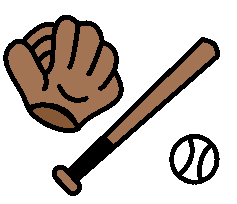 At KidSparkz Preschool Resources download a collection of activity pages that coordinate with a baseball theme. 2 Teaching Mommies posted Preschool Units and additional Tot Packs for baseball, football, and basketball. Preschool Express has Summer Olympics ideas. SesameStreet.org has many video clips and short activities about sports and the Olympics. Great to show and talk about! Preschool Plan It shares sports themed dramatic play and other ideas for eliciting language. what is a meaning of SLP?